The early 1960s post -Stalinist "spring" in Poland has Jerzyk, Pilch’s teen narrator, watching his retired civil-servant dad and his dad's drinking buddy, Mr. Traba, an alcoholic and wannabe Pole insurrectionist. His mother's focus is on corresponding with the bishop, while Jerzyk chases his first love. But there is no ignorning the mysterious comings and goings of the renters in the attic. The "morphinistes," morphine abusers thought to be associates of the Antichrist, who carry an enormous crimson and gold blanket to the woodland for picnics, unnerve the puritanical locals. Especially Traba, who, drinking steadily, follows the morphinistes to the forest and spies a band of fearsome backwoods people, including social outsiders, fugitives, riffraff, and even writers and intellectuals. So begins his convoluted desire for a road trip to murder, as an act of salvation, the de facto Polish head of state, Wladyslaw Gomulka. 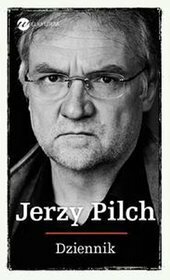 A comic tale laden with lengthy discussions and brightened by a Christmas Eve miracle, Pilch's novel is perhaps best for collections rich in Eastern European voices. A comic gem, Jerzy Pilch’s A Thousand Peaceful Cities takes place in 1963, in the latter days of the Polish post-Stalinist "thaw." 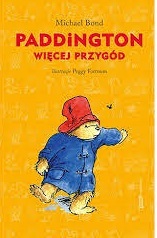 The narrator, Jerzyk (“little Jerzy”), is a teenager who is keenly interested in his father, a retired postal administrator, and his father’s closest friend, Mr. Trąba, a failed Lutheran clergyman, alcoholic, would-be Polish insurrectionist, and one of the wildest literary characters since Sterne's Uncle Toby. One drunken afternoon, Mr. Trąba and the narrator’s nameless father decide to take charge of their lives and do one final good turn for humanity: travel to distant Warsaw and assassinate the de facto Polish head of state, First Secretary of the Polish United Workers' Party, Władysław Gomułka -assassinating Mao Tse-tung, after all, would be impractical. And they decide to involve Jerzyk in their scheme . . .